Renegade Backcountry fans, your 850 stimulus package is here, in all Gen-4 “X” braininess. We recommend to you fans take advantage of this “X” stimulus package and reap the rewards, as the 2018 Ski-Doo Renegade Backcountry X has a high return on investment for crossover fun. Several REV chassis ago, the XP and XM, the Renegade Backcountry X always landed on our Mountain Team’s “To Do” list as one Ski-Doo we evaluate, and looked forward to evaluating, especially when we had a Summit or Freeride of similar track length as companion comparison models. 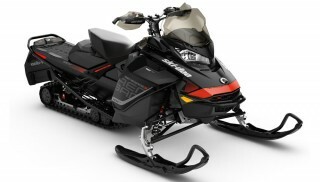 Ski-Doo’s Renegade line is its crossover-segment snowmobile. The 2018 Ski-Doo Renegade Backcountry X (BCX) is a Spring-buy crossover that is designed to be high speed trail savvy as well has off-trail cross country smart. 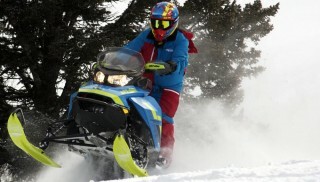 Ski-Doo has several snowmobiles that fill the niche as dual purpose. Some are more trail-oriented, some are more off-trail and some go further by being marginally deep-powder compliant. In review, Ski-Doo has the Freeride 137 with rMotion, the Freeride 146, the Summit X 146 and this feature’s product, the Renegade Backcountry X.
Let’s dial in some specifics. The Renegade BCX is a 146. Its rear suspension is Ski-Doo’s new rear dubbed cMotion, which is a hybrid suspension where Ski-Doo blended the best attributes from rMotion and tMotion. Thus, cMotion has torque rods, springs and adjustable shocks, for trail riding – all engineered to absorb bumps like an MXZ. The cMotion’s hyfax rails, at the rear, are tipped up which allows the 146 to feel and handle like a 137 – when carving tight lines on the trails. This new suspension is a rising rate suspension, which means as the suspension travels up into the tunnel (compresses) its springs and shocks begin to stiffen. Thus rising rate is soft and plush at the first half of a rear suspension’s stroke, then progressively stiff at the last half of a rear suspension’s stroke to absorb mogul slap and the rider’s corresponding down force from his or her body weight. Rear suspension shocks include a HPG Plus for the front rail shock, and a KYB Pro 36 EA. These shocks, with coil over springs, are capable. 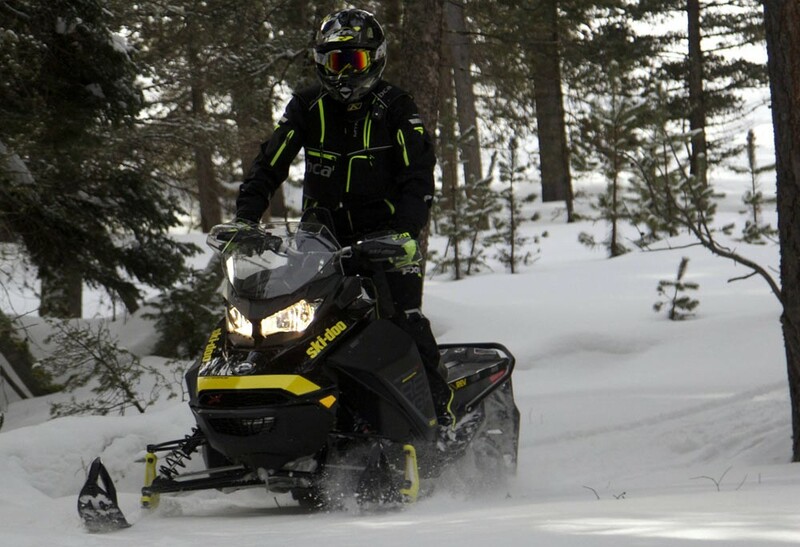 Here in black, the Gen-4 850 Backcountry X will help shore up Ski-Doo’s desire to be as much a trail and powder company, as a crossover company. Crossover snowmobiles are vastly popular, and the 2018 Renegade Backcountry X will expand crossover popularity. For powder, the rear suspension is uncoupled (unlike rMotion, but like tMotion), which gives the rear skid permission to float and be nimble in deep powder. The 2018 Ski-Doo Renegade Backcountry X has several tracks of which owners can choose when ordering. Unlike the Freeride 146 or Summit X 146, the Renegade BCX spins a 15-inch wide track rather than a 16-inch version. These tracks are: Cobra 1.6, Ice Cobra 1.6, and PowderMax 2.0. If choosing the PowderMax track, then the manufacturer will gear down the Renegade BCX for the taller lugs. Also the PowderMax track is not a FlexEdge track like that the Summits and Freerides spin. For complete information on the cMotion, Ski-Doo has on its YouTube channel a brief tech dump, which can watch here. Drivers can sit tall on the Renegade Backcountry X and have a wide view. 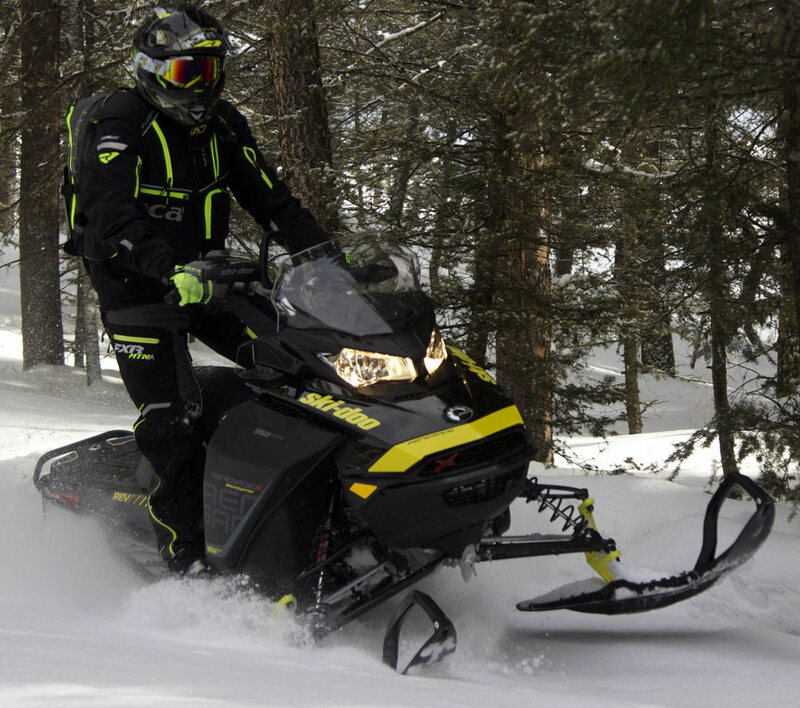 Ski-Doo set out to make its crossover line dual -purpose without sacrificing purpose. 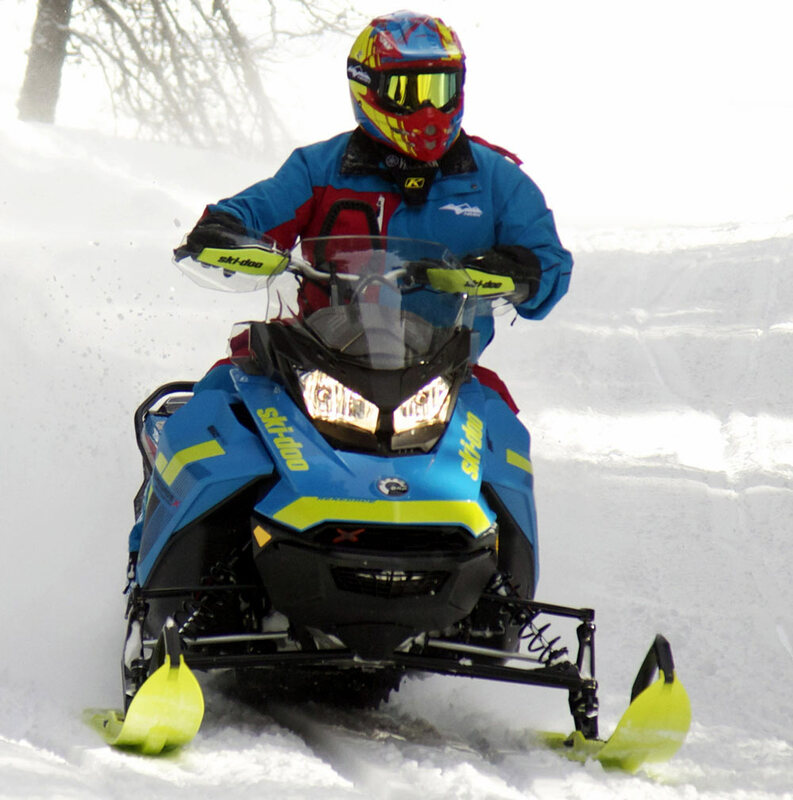 In our opinion, the PowderMax track is the best track if the Renegade BCX is to be truly a 50/50 crossover snowmobile as its marketing material promotes. We have driven the Renegade BCX in the backcountry with the Cobra 1.6 and it washes out when the snow becomes loose, light and deep. We have also piloted the Backcountry X, current and in years past, with the PowderMax 2.0 track and this track handles loose, light and marginally deep powder (18-inches to two-feet) fairly well. The RAS-3 front suspension is similar in geometry as the Summit. Two ski stance positions set the Renegade BCX as wide for trail, 40.1 inches, or narrow (somewhat) for powder, 38.4 inches. Skis are the Pilot DS-2. HPG Plus shocks handle front suspension impacts. The front suspension is swaybar equipped. The handlebars have J-hooks and hand guards at each end and a center mountain grab bar strap. The bar’s riser block is 4.7 inches. The handlebar post is a laydown; more horizontal than the Summit and Freeride. 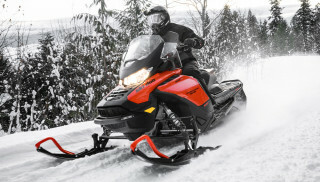 With its laydown steering post and well thought out cockpit, the Gen-4 Renegade Backcountry X both an aggressive trail snowmobile and general cruiser. Customers can order this fast trail- and powder-crossover 2018 Ski-Doo Renegade Backcountry X with electric start. Ski-Doo’s SHOT – Start Hot – which is exclusive to the Summits and Freerides is not available for the Renegade BCX. Being this is a crossover – 50% for powder and boondocker play – we feel this crossover should have SHOT; the Renegade BCX’s in-house competitors, the 146 Summit X and 146 Freeride, can be optioned-in with it, so why not the Renegade Backcountry X being it is 50% powder player? Ski-Doo, let SHOT be available for the Renegade BCX as a Spring-buy option. Truly what makes the Gen-4 850 Renegade BCX, the lightning bolt it is? Well, it has the Rotax eight-five-zero E-Tec power plant. This motor in the fourth generation REV pyramidal chassis with Ski-Doo’s pDrive driven clutch, RAS 3 front suspension and cMotion rear suspension is an absolutely astounding crossover. The motor’s bottom end has a sneaky pull followed by a hard hit midrange. Add to these wow-to-the-face at wide-open-throttle. 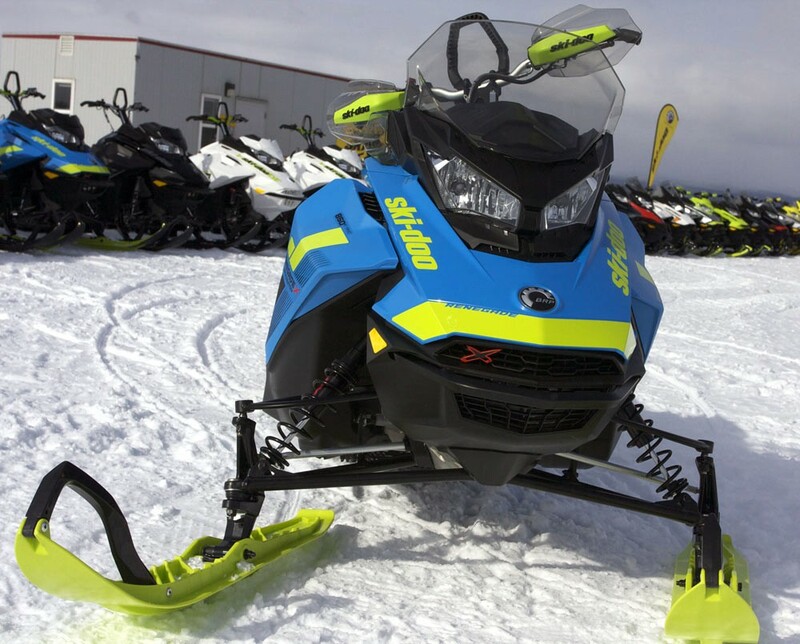 This Gen-4 Backcountry X will assure the sled operator will have a fine winter season, 2017 and 2018. With a Summit-like RAS 3 front end, KYB shocks, swaybar and wide ski stance, the 2018 Renegade Backcountry X blends tail and mountain to become a nimble 50/50 crossover. Note the mountain strap, hand guards and J-hooks on the handlebars. From our days on the 2018 Renegade BCX we found its trail manners confident, planted and assured. In fast deep dives around sharp bends and fast mogul whacking, the Backcountry X with RAS 3 and cMotion gave the driver – us – control. Ski lift around the bends was minimal. The Cobra track would break loose on the trail when the motor was lit. Moving into a bend at a fast clip, the Brembo brake system slowed the Gen-4 850 down with a slight squeeze, and at mid flight, kicking the 850 to life, the Cobra track and its side lugs would bite the snow, some drift would occur to straighten the BCX and out the apex we would go fast and true to the long pull on a minimal winding trail. The 2018 Renegade Backcountry X uses Ski-Doo’s new cMotion rear suspension, a blend of rMotion and tMotion. This new suspension works very well on trail and off trail. This particular model is spinning the PowderMax track with two-inch paddles. On the hillsides, if the snow is packed (what we call “Hero snow”), the Renegade BCX, with skis at its widest setting, was not all that easy to pull up edge. The sway bar wanted to keep the crossover glued to the snow, both skis down. 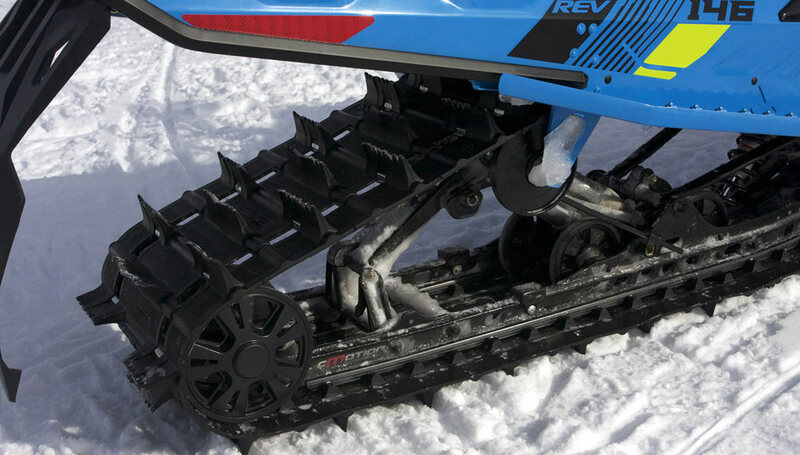 But, in 18 inches or more of powder, the Renegade BCX showed its Summit-like genes and became playful. Being this is a crossover, there many times when a customer may want to experience some Ride Rasmussen Style boondocking, not full out, but enough to say, “That was cool.” For such a time, we recommend Ski-Doo to install on the BCX’s RAS 3 front suspension, a quick disconnect sway bar, like the Freeride, for that time when a boondocking moment presents itself. All it needs and wants is some powder, hillsides and room to let the 850 motor breathe. The Gen-4 Renegade Backcountry X is at home in the boondocks. The 2018 Ski-Doo Renegade Backcountry X in either stealth solid black or blue with green accents is a stable and assured steed. The Gen-4 chassis makes earlier Backcountry X models obsolete; and the 2017 XM chassis BCX was a great, great snowmobile. However, when we reported on the 2017 XM Renegade BCX (which we enjoyed) we were secretly hoping a Gen-4 Renegade BCX would come to fruition in 2018; wish fulfilled. 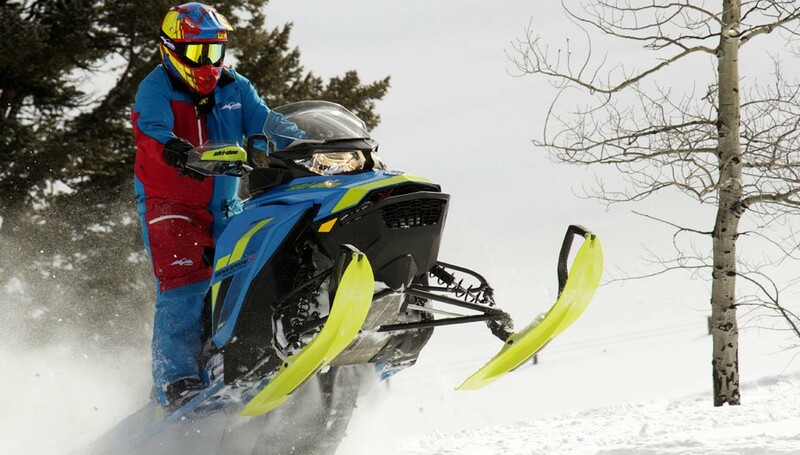 For us, the decision among this snowmobile and its two in-house competitors, the Freeride 146 and Summit X 146, comes down to stability and trail manners. The Summit and Freeride are good on the trail, better in the powder, but not glued down like the Renegade Backcountry X. This is the Renegade BCX’s shine, fast and nailed on the trail. 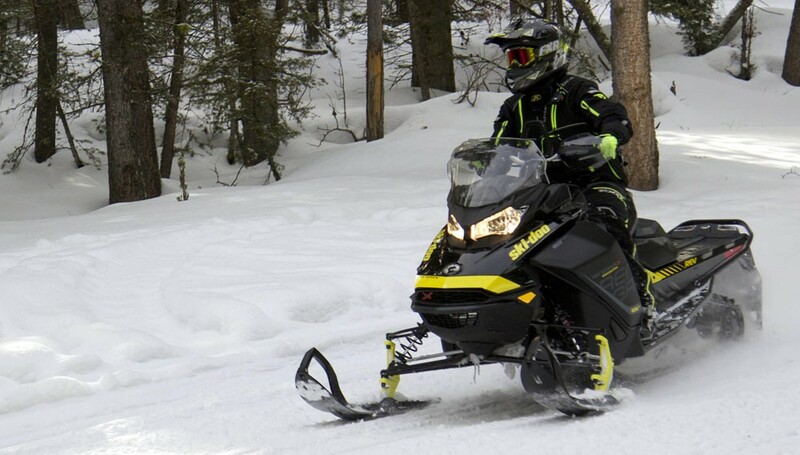 This snowmobile equipped with one of two Cobra tracks makes it competitive against Ski-Doo’s MXZ. With the PowderMax track, the 2018 Ski-Doo Renegade Backcountry X steps up its game and takes on the boondock trolls and with its 850 motor and knocks them down. Handlebar height is set for crossover riding, but when in the mix for some serious boondocking, tall riders may want to opt for a taller handlebar post. We feel the PowderMax track makes the Renegade BCX what it is, a 50/50 crossover. Though the taller paddle track (some windmill resistance from the tall paddles) and lower gears, the Renegade BCX gives up some speed, though the 850 pushes it along rather well to satisfy fast-attack trail riders.